People arrive in my office with symptoms of stress and/or depression. The concept of “stress” is like the concept of “irony” in terms of understanding. Everyone knows irony or stress when they’re expressed or experienced, but few can define either. Elevated stress, in emotional terms, is a shifting combination of anxiety, fear, dread, and anger that leads to doubt or a very fleeting feeling of success. Stress can be the perception of a loss of control. Stress impacts the body constantly and manifests itself as headaches, chest pain, heart palpitations, loss of sleep and much more. Long term unrelieved stress can lead to depression, heart attack, migraines and worse. Hypnotherapy addresses the emotional aspects of stress and thus helps diminish the physical aspects of stress. The slogan “stress kills” isn’t hyperbole. If you’re experiencing elevated levels of stress, come and see me. 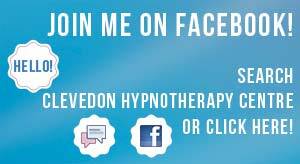 I can help alleviate your stress and help manage a minimum of stress you need in your life.